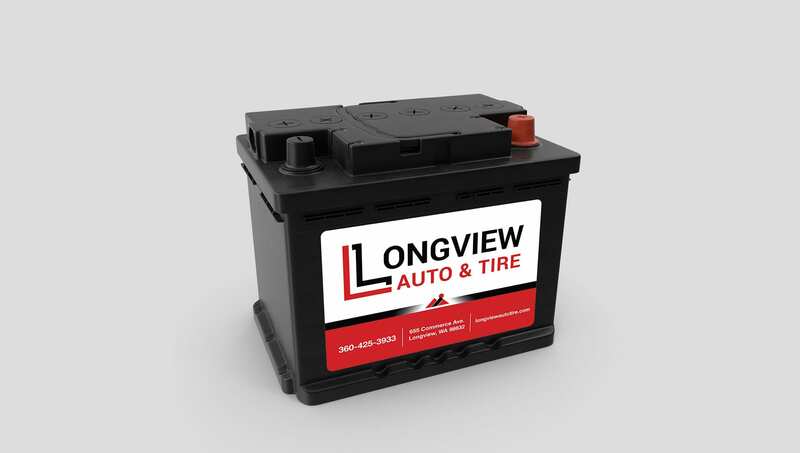 In late 2017, brothers Roy and Reuben Byman purchased a local automotive shop in Longview, Washington. 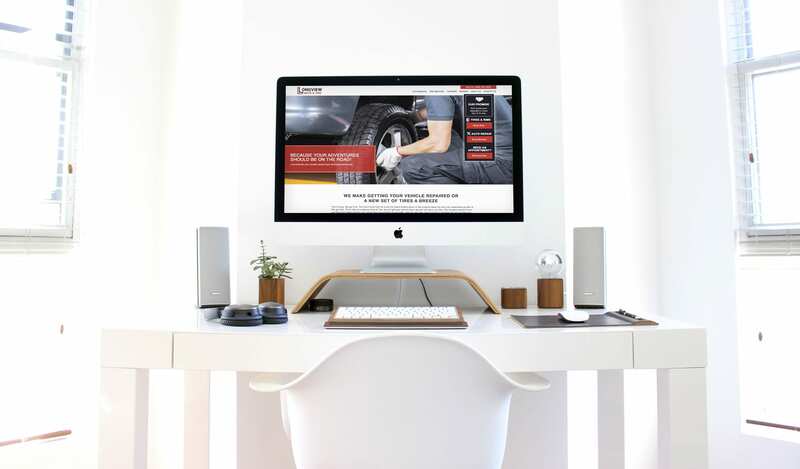 With big dreams and a wealth of knowledge in the automotive industry, they weren’t sure where to start when it came to their branding and marketing. 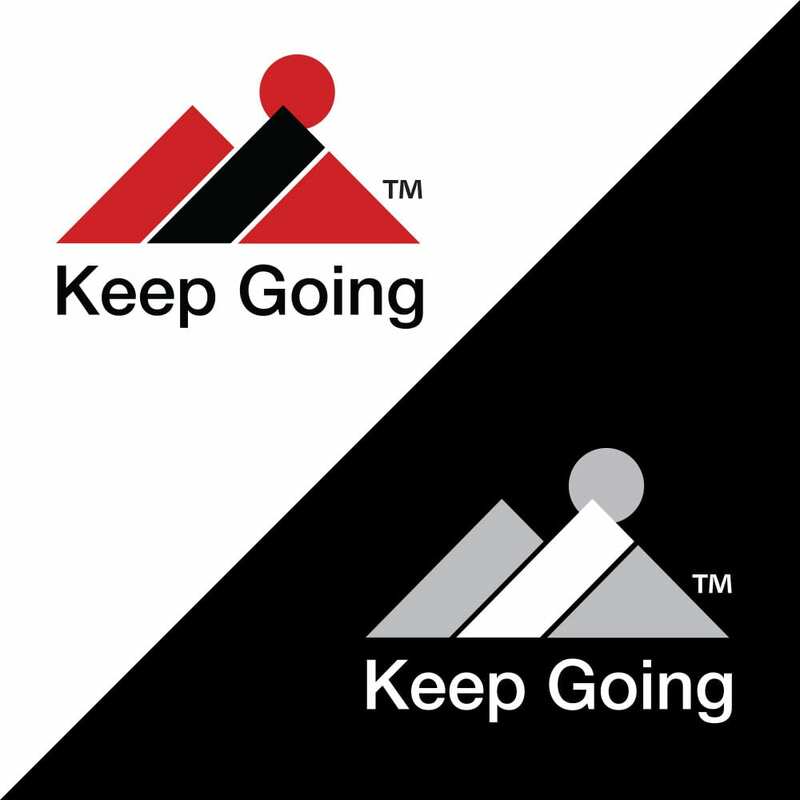 Knowing they needed someone who could lay out a marketing strategy that would allow them to reach their goals, the Byman brothers came to us for help. 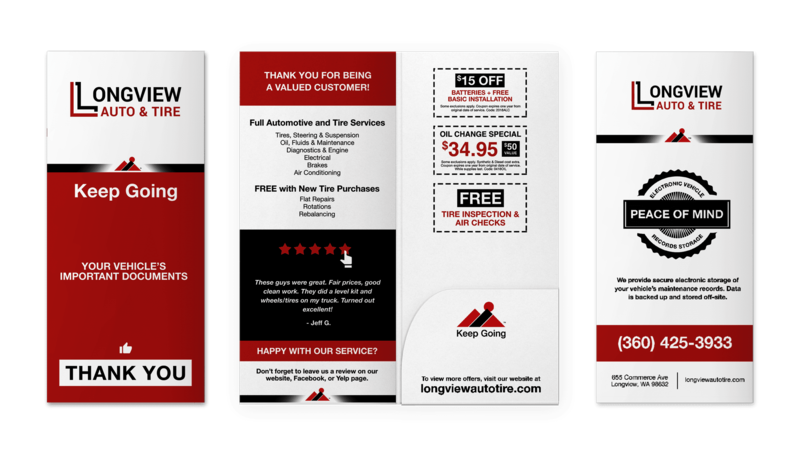 After setting them up for success with the basics like a logo, branding, and a responsive website, we’ve since moved them on to more extensive marketing like advertising and print materials. It’s been exciting to see their growth so far, and we’re honored to be a part of their journey! 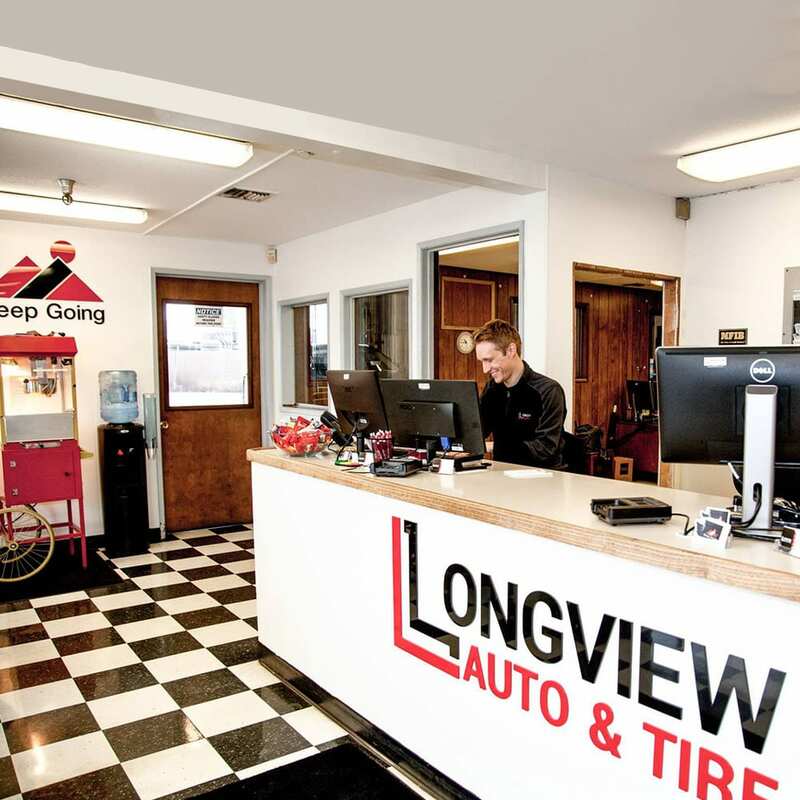 Simple, bold, and clean, Longview Auto & Tire is a brand designed to go the distance. As soon as Roy and Reuben communicated their vision for the company, we got to work. 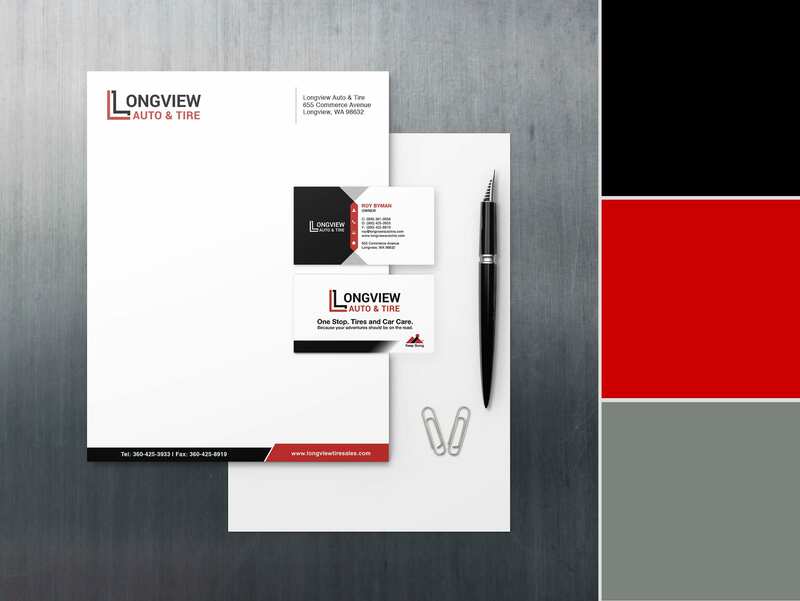 The essentials like a color palette, logo, corporation logo, and style guide were the perfect place to start building their brand. After the foundation for their brand was laid, we continued on to the website. Clean, modern, organized, functional, and effective was the goal. 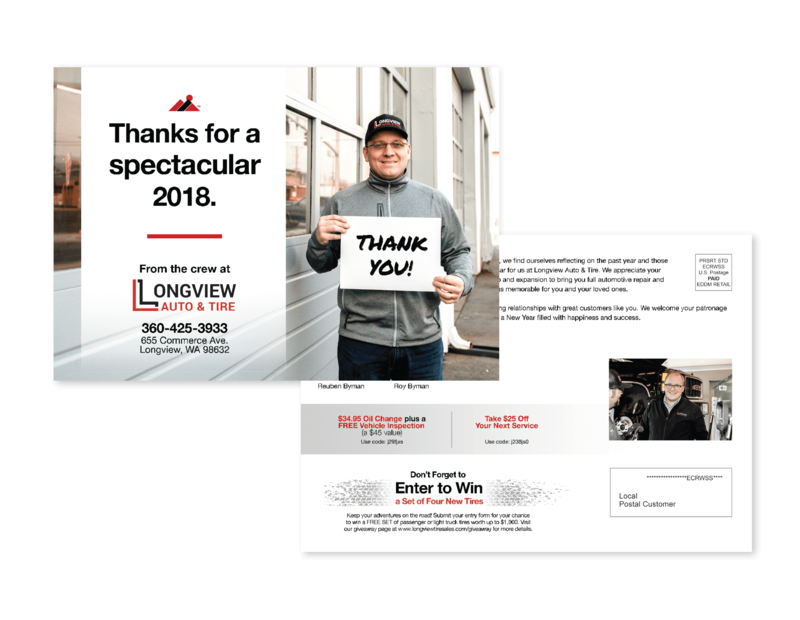 The design of this site was crafted to be a perfect reflection of the Longview Auto & Tire brand, treating customers to a top-notch experience and answering any questions they might have ahead of time. Positioned to take their brand to the next level, we then set the Byman brothers up with several designs for print. 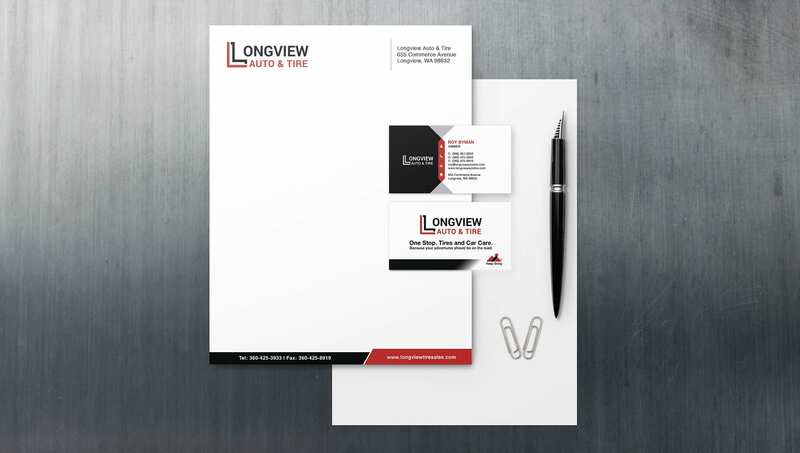 This included custom branded receipt folders, business cards, letterhead, automotive battery label, booth banner for shows, and much more. When the proper foundation (branding, website, in-house sales tools, etc.) 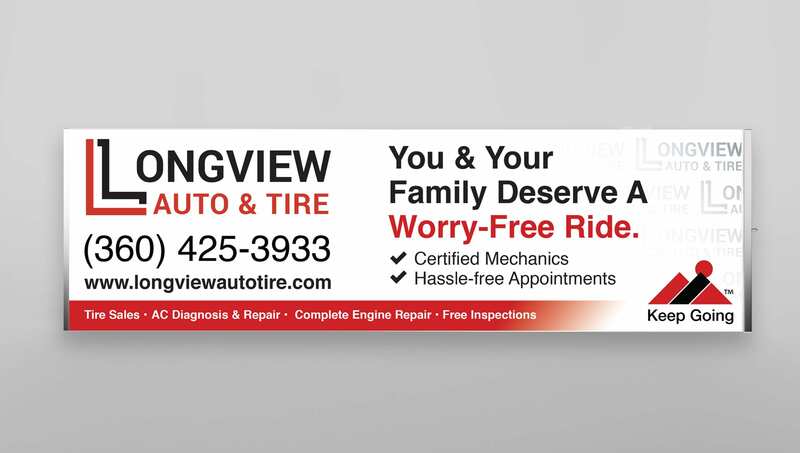 was in place to handle a marketing campaign, we began carefully crafting advertising efforts. 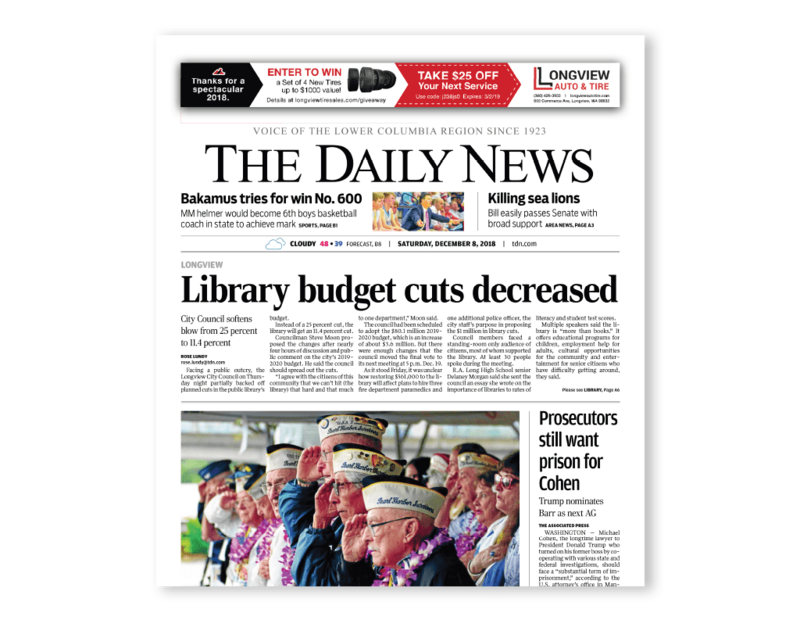 This included newspaper ads, direct mailings, Facebook ads, Google Adwords, blog posts, organic Facebook posts, radio commercials, giveaways, and more. We coordinated each campaign to be released across many channels at the same time. Why? Because they're much more effective that way. 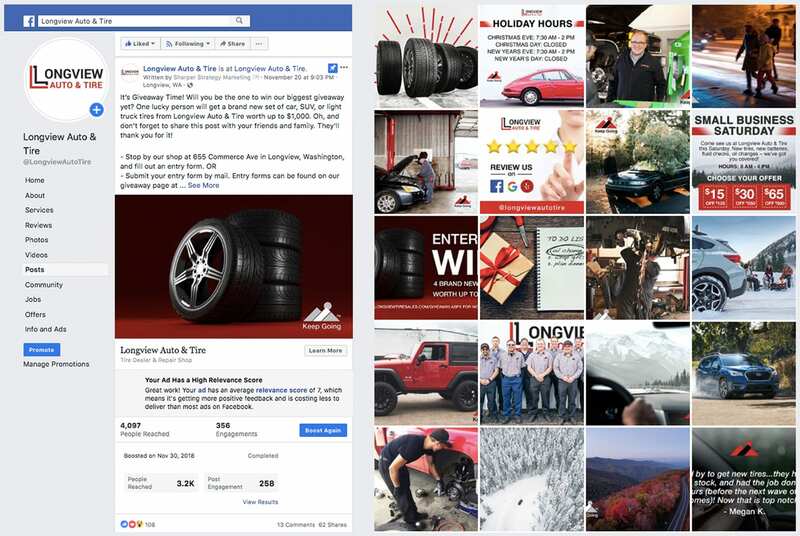 A promotion that is received in the mail, heard on the radio, and then seen on Facebook is much more effective than one that is only seen on Facebook. 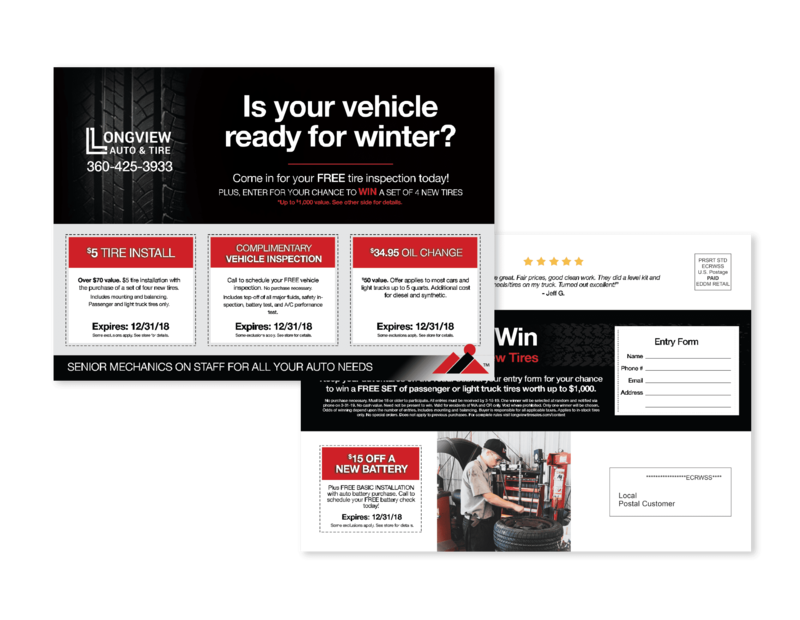 Cross-channel marketing is one of the keys to our client's success. Social Media is very important in today's world, yet it can be difficult and time-consuming for businesses to find their voice and make headway on these platforms. Which platform should you use? When should you post? How often should you post? And what on earth should you say? 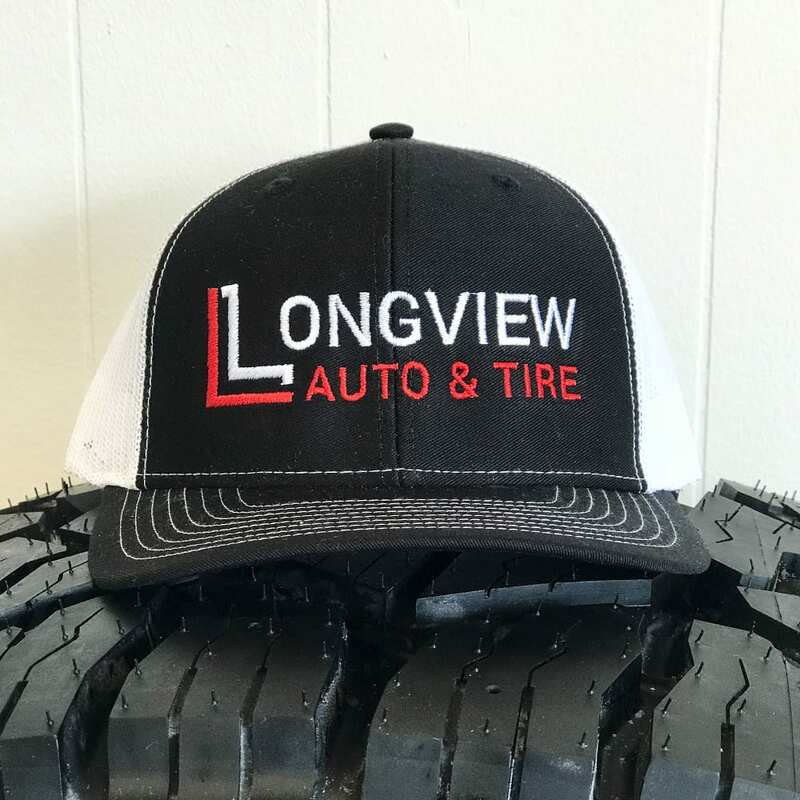 Most of our client's don't know, and that's ok. Clients like Longview Auto shouldn't be worrying about Facebook, they've got vehicles to fix and customers to satisfy. That's why we're trained and certified in social media tactics and trends. We manage social media accounts for clients to help connect them to their customers in a real way. And in today's marketing, personal connections are the best way to reach customers and create fans who – in time – become customers.